The popular ski resort of Chamonix offers plenty of walking routes, but not all of these are suitable for everyone - particularly if you're travelling with young children or older family members. If this applies to you, or you're new to hiking, these easy routes can offer an enjoyable hiking experience in the summer, and provide a fantastic way to see some of the best sights in the Alps. Mont-Blanc is the highest mountain in the Alps, and is a must-see if you're hiking in Chamonix. The Aiguilles Rouges nature reserve is located on the other side of Chamonix Valley, and has a nature walk suited for families with great views of the mountain. This leisurely walk has two starting points: the nature reserve information centre and the Le Buet train station. It'll take around 45 minutes from the information centre and an extra hour from the station. There are also several lakes nearby that make for an enjoyable walk away from the reserve. Lac Blanc, the most scenic day walk, starts at the Flegere cable car - located over an hour walk away from the reserve. From the Flegere cable car stop, the walking route begins down a long wide road to the right (which is usually signposted), and offers some of the most exceptional lake views in the region. For the slightly more daring hiker, Lac Cornu is a great choice. Starting from the Planpraz-Brevent lift station, turn left and follow the wide path. The trail will get steeper as you approach Lac Cornu, but the lake is surrounded by rocks and grassy patches that make for good resting spots. This lake area makes for a charming picnic spot, and is often partially covered in snow or ice (for up to 9 months of the year) even in the summertime. Lake Noir is located close enough to Lac Cornu that you can make a day of visiting them both. For a slightly more challenging walk, head towards Col de Gliere, which is found between both lakes. Mer de Glace is the largest glacier (7km long and 200m deep) in France, and one of the most popular attractions in Chamonix Valley. This glacier is usually packed with tourists, especially in the summer months, and to avoid the crowds we'd recommend heading along the Le Chapeau walking route from Le Lavancher. 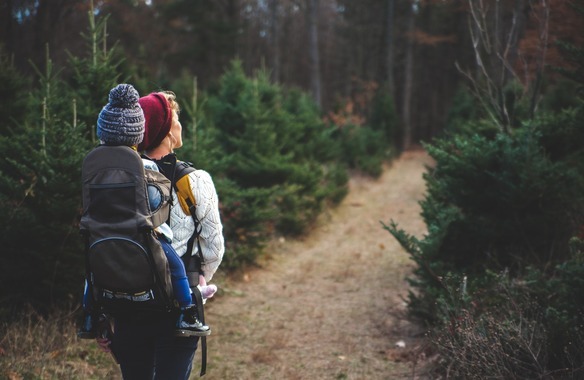 This hike is suitable for the whole family, and should take under an hour to walk. Refreshments are also available on this route. Peaceful hikes can easily be found around Chamonix. The Vallon de Bernard hike follows the Eau de Bernard river up the valley and passes the waterfall at the start. You'll pass Chalet de la Cascade de Berard, a larch forest, and a deep sided gorge during this 1 hour and 45 minute hike to Refuge Pierre a Berard. If you'd like to continue with a challenge, take the route heading right up the hill towards Le Buet for a further 3 hours and 45 minutes of stunning scenery. There are plenty of walks to discover in the Les Houches area. For an easy hike through the alpine meadows, head from Bellevue to Prarion. From the Bellevue cable car stop, make your way to Col de Voza, along a dirt track that is parallel to the old rail tracks. The scenic walk covers rocky ground, walking across tram tracks and climbing slightly uphill. In summer, the vegetation turns to lovely purple shades and makes for a charming experience as you walk through the mountains. You can take many variations on this route, and with signposts everywhere for Prarion, you're unlikely to get lost. If remote alpine chalets are your thing, seek out the Chalets de Charousse hike in the Les Houches area. This route starts at the base station of the Prarion gondola, and leads you through a meadow of flowers and rustic chalet retreats. 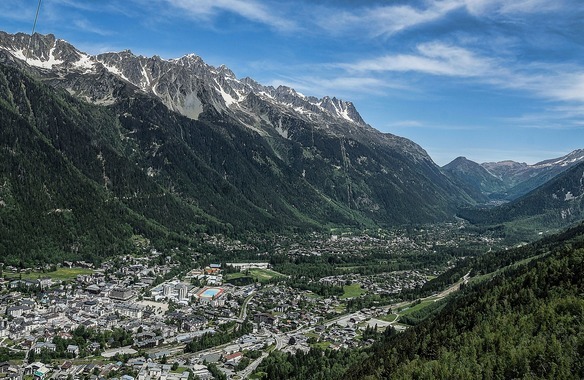 Another picturesque family walk takes place from the edge of Chamonix town centre, starting at Grépon car park and heading south along a winding trail. 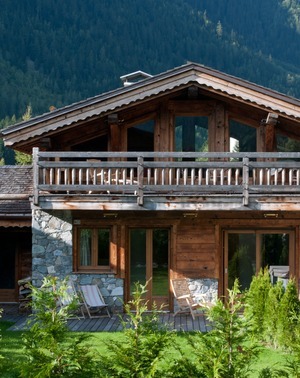 Leading to a terraced snack bar with lovely views of the 20m Cascade du Dard waterfall, this short 45 minute walk makes for an ideal break in your Chamonix holiday. As one of the most popular 'balcony' trails, running either side of the valley in Chamonix, the panoramas of the Grand Balcon Nord are a must-see. Since the highest balconies can be reached via lift, and the altitude does not change too much throughout the trail, it's ideal for a family to soak up the scenery. There are a few possible starting points, including walking from Plan de l'Aiguille and the taking the train to Chamonix from Montenvers train station. The station is the recommended choice, as queues are shorter during peak season in the summer months. Take the train to Chamonix town centre and you'll find two different routes you can walk. This walk heads north, lasts around 5 hours (including transport) and has the best mountainous views. If you're a regular hiker and love to reach new heights, Chamonix offers a variety of routes that will challenge every hiking enthusiast. Ready for a challenge? The Tour du Mont Blanc is a 170km trek of the Mont Blanc massif, which typically takes even the most advanced hiker a couple of days to cover. You'll need to plan, camp and prepare food in advance to make the most of this unique experience. Alternatively, Mont Blanc Tour mountain huts are open from mid-June to September, where you can reserve a bed to camp along the way. If you'd like some additional help with the planning of the routes, Independant trek leaders are available to guide you through the tour. The extraordinary tour is home to all kinds of flora and fauna, including deer, chamois, eagles and a selection of beautiful alpine flowers that make for the perfect photography subjects en route. For this long trek, we'd recommend layering up for the summer weather changes, as well as packing waterproofs and trekking poles. Ensure you have eye, skin and lip protection for hot weather, and carry enough water to last you the trek. Summer weather is very hot, but storms are also common, and we'd advise checking the weather before you set off. This hike isn't for the faint of heart. The Haute Route is a 10 to 12 day walk from Chamonix to Zermatt, traversing the highest peaks in the Alps and passing through both the central points of the French and Swiss Alps. Explore two different cultural regions, experience both snowcapped peaks and alpine valleys with flower-covered meadows as you trek your way across the Alps on this hike. The Haute Route hike lies across a remote region. You'll either need to bring a tent or sleep in one of the mountain huts - available from mid-June to early September (and often with reservation required) - in order to complete this lengthy hike. June to mid-July is the quietest time to walk this route, and has arguably the most beautiful views. Snow can be found on the higher paths even in early summer, and usually clears away by the first week of July. July to August is arguably the best time to plan this trek if you want to enjoy the sunniest weather. This walk allows every hiker to experience Zermatt, one of the world's most charming alpine villages. Cars are not allowed in this area, leaving the air clean and the streets quiet. Few travellers could imagine a prettier end to their hike than the picturesque Zermatt. Located around a half hour drive to Chamonix, Saint-Gervais has a range of different walks for every type of hiker. Experience a stunning glacial lake and quiet summertime picnic spot with the Le Lacs Jovet walk. Following the signs, head down the trail to Notre-Dame de la Gorge and continue until you discover the lake. While the walk can be steep at moments, the majority of the trail is a far gentler hike, with ample opportunities to spot wildlife along the way. Shaded by forest for the majority of the path, Gorge of the Gruvaz is the route to choose on a hot summer's day. From St. Gervais, continue towards Les Contamines, follow the signs and the walk should take around two hours - making it an excellent choice for a family excursion. When you arrive at the Gorge, the views alone make this destination worth the visit. The family-friendly hike takes you through a slightly steep forest and runs along a stream onto the beautiful lake, Lac d'Armancette where you can set up for an afternoon picnic in the sunshine. This route begins from the parking spot, Hameau de la Frasse, heads through the Contamines-Montjoie National Nature Reserve and takes around the 2 hour mark. 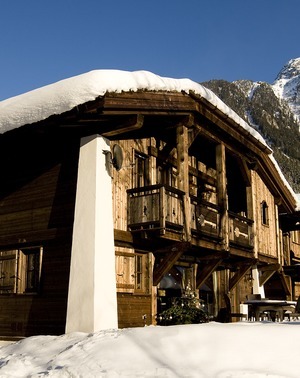 This region is located around a 45 minute drive from Chamonix with slightly lower mountains and altitude. Megève has beautiful scenery and selection of walks to discover. For the more challenging route, this popular walk is lengthy and has the best mountainous views of Mont-Blanc. Aim towards Col du Jaillet as you leave the car park and make your way through the forest. The route passes through many beautiful alpine pastures and makes for a good walk on a summer's day. Waterfalls are one of the most beautiful parts of nature, especially when the sun is shining. This route is a varied walk, starting in the centre of town towards Le Planellet, crossing a river while heading to Le Tour. Go down Chemin du Maz until you reach the sign 'La Belle au Bois' and head through the forest till eventually you'll arrive at the calming waterfall area. This round trip will take about 1 hour 20 minutes and makes for the perfect afternoon stroll. Hiking to Mont Joly can be a rather tiring experience however the views of ravine, Val Montjoie are completely worth it. From the car park, follow the signs towards Tour du Pays du Mont-Blanc and make your way to the mountain. The path leading to the mountain is quite steep and once you reach the top, you'll experience the best views of the Megève area. This walk is in an open area, that we'd advise to protect your skin from the heat and bring plenty of water to keep hydrated. Les Contamines-Montjoie is located in the Auvergne-Rhône-Alpes region of south-eastern France, around a 40 minute drive from Chamonix. The small area has a couple of hiking routes, suitable for a range of walkers. Explore the nature reserve of Les Contamines-MontJoie along this mellow country hike. The walk is suitable for a gentle family stroll, taking you through forested area and offering exceptional views below of the village and Mont-Joly. It's a hike that can be enjoyed on a few levels and pleasantly in the summer months. For the best mountainous views in this region, this is the route to take. Begin following the trail to Notre-Dame de la Gorge and then into the mountains towards Refuge du Bonne Nant. The Col du Bonhomme is a mountain passway, which takes around 2 and a half hours to reach past this refuge. When you arrive at this area, follow signs to another refuge, Refuge du Bonhomme and as it comes into sight, to your left side, you'll be able to see signs directing you to the mountain peak, Tête Nord du Fours. It'll take a further 1 and a half hours to reach the Tête Nord du Fours. The panoramic view from this mountain of Mont-Blanc, the Italian alps and every other mountain to Grenoble, makes the long walk completely worth while. You'll feel on top of the world once you reach the top. Experience the Gorge's surrounding area along this walk. Take the route of the Bonnant River where you're able to discover a series of farms and hamlets, as you make your way to the church located at the end of the trail. The baroque church of Notre-Dame de la Gorge was built in the 17th century and opened for visitors daily. Exploration doesn't end there, keep going along the route to discover many more mountain paths.